For using the Iconfu colorizable multicolor icons on your website, you first have to download them as CSS colorizable SVGs. This feature is only available to Iconfu premium customers. 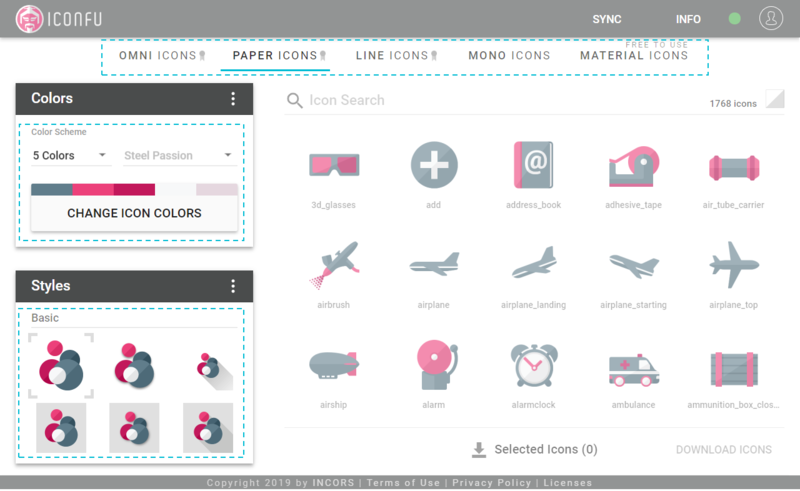 If you have an Iconfu premium account, follow the steps below to download the colorizable icons. First go to the Iconfu app and choose the icon collection that you want to use icons from . At the left side of the app you can apply colors and select a style to the icons. For downloading a single icon, click on the icon to download in the Iconfu app and click the "DOWNLOAD" button in the icon preview. 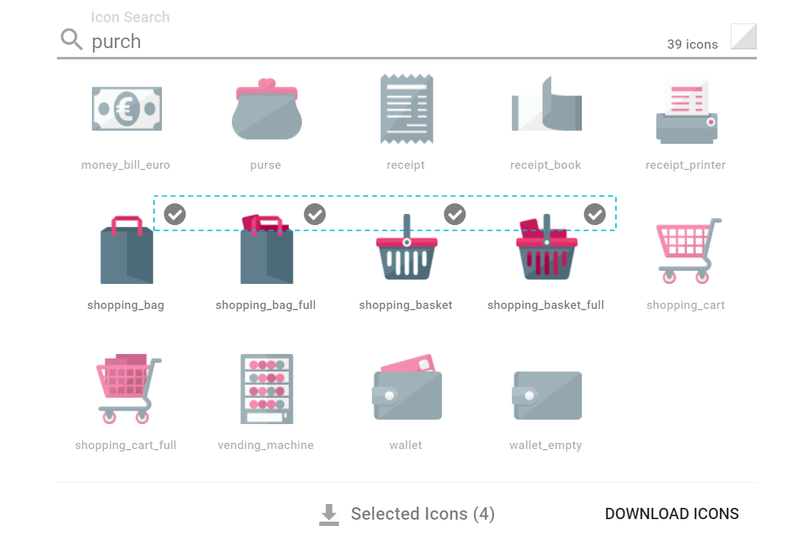 For downloading multiple icons, select the icons to download in the Iconfu app and click the "DOWNLOAD ICONS" button at the bottom right of the page. 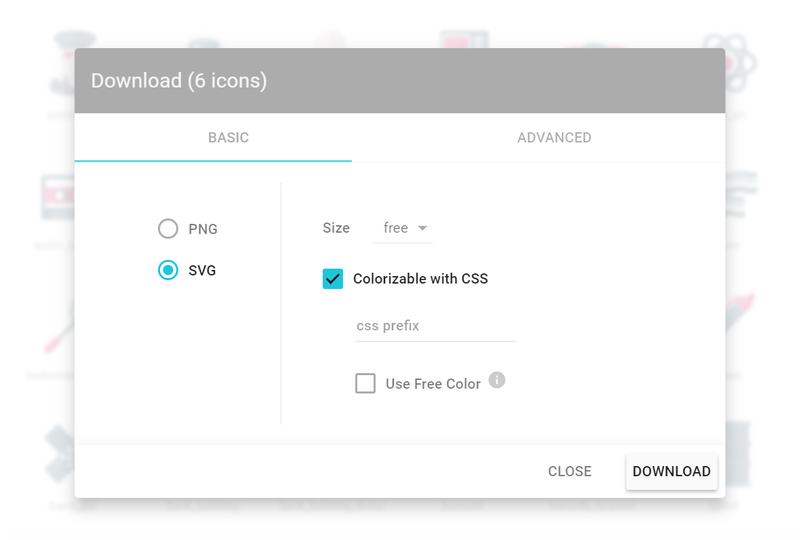 In the Download dialog select the "SVG" file type and tick the "Colorizable with CSS" checkbox . You can optionally enter a CSS prefix, which will be put in front of the color names . For example if you enter the prefix "myproject" the color names will be "myproject-color-1", "myproject-color-2" etc instead of "color-1", "color-2" etc..
Start the download by clicking the "DOWNLOAD" button . The download consists of a single zip file, which contains the colorizable SVGs and a demo.html file. 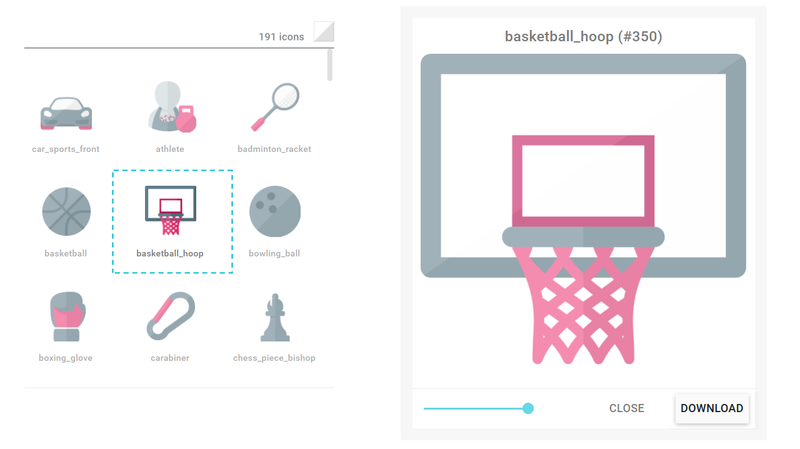 This file gives an overview of the downloaded icons and allows experimenting with the CSS. If you just started using CSS colorizable SVGs, you should first open demo.html your browser.